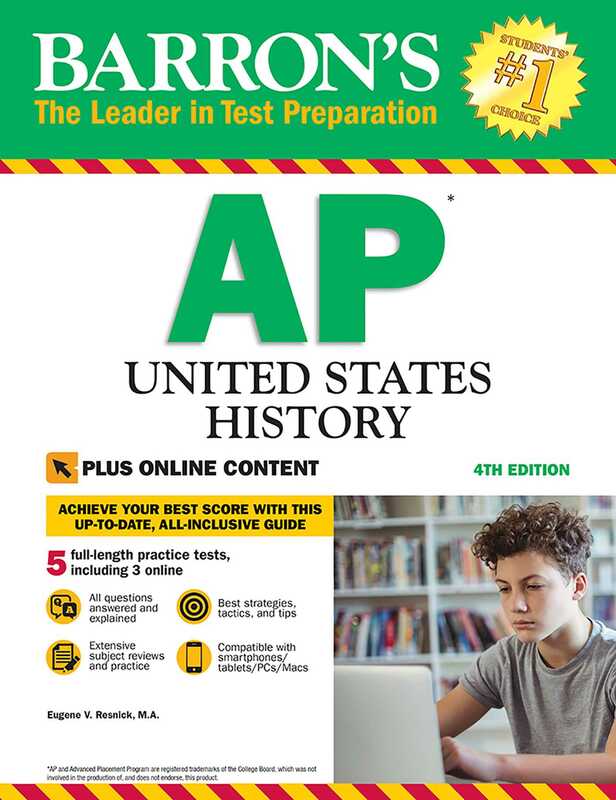 This extensive test prep manual covers the AP United States History curriculum, and will help prepare students for the most current exam. A detailed review of U.S. history, from pre-contact American Indian societies and the evolution of Colonial society, the American Revolution, the Civil War and Reconstruction, the growth of industrial America, World War I, the Great Depression, World War II, the Cold War, America in the age of Clinton, Bush, and Obama, and much more. BONUS ONLINE PRACTICE TESTS: Students who purchase this book or package will also get FREE access to three additional full-length online AP U.S. History tests with all questions answered and explained. The online exams can be easily accessed by computer, tablet, and smartphone. More books from this author: Eugene V. Resnick M.A.